As legalization is on the rise in the US, water consumption has become a concern for the cannabis industry, especially in Western states. In the first part of this series, we explored the looming environmental issues of energy consumption that surround the cannabis industry. 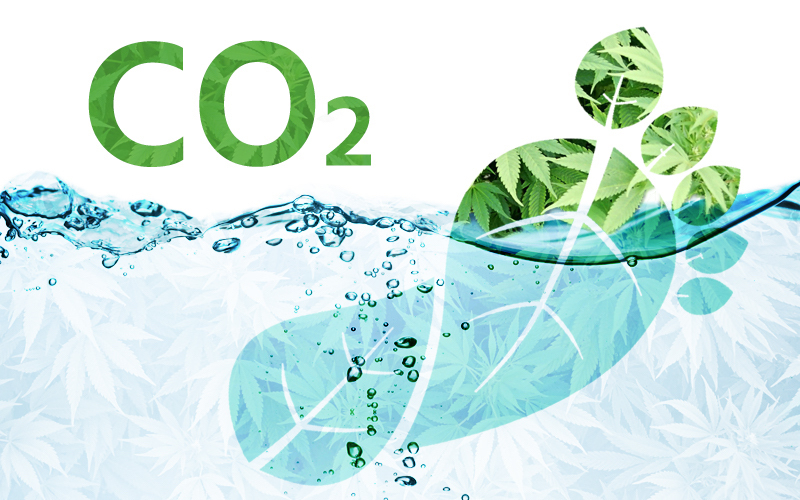 More recently, however, the ecological impact of water consumption and sustainability has also arisen for the cannabis industry. Due, in part, to the recent and expeditious westward expansion of the industry, the question of water consumption is on many minds, as both legislators and cultivators proactively seek out sustainable water consumption practices. As previously covered in this series, some believe the answer to reducing the environmental impact of the cannabis industry is through legalization. Full legalization would allow for more government agricultural regulations as well as legally incentivize producers to become more sustainable in their practices. Legalization would allow grant money for research and improvements, which are currently available to other agricultural departments, to be offered to the cannabis industry. Due to the lack of research, an ongoing issue throughout the industry, no one knows the exact impact that the industry will have on the environment. However, in the case of water, especially in California, legalization has become key in protecting the environment. California’s north coast region, known as the “Emerald Triangle,” has been plagued with outdoor illegal grows for decades, which have proved detrimental to the local environment. These illegal grows are most often on public land, where water is typically irrigated from surrounding bodies of water, such as streams. Runoff water is also an ecological issue, as the use of certain pesticides and fertilizers are harmful to the environment. In 2015, the California Department of Fish and Wildlife published a study stating that cannabis grows in the Emerald Triangle average as much as 6 gallons of water per plant, per day. Multiply that by the massive scale of California’s grows, and it becomes easy to see how in a state plagued by drought, water consumption has become a headline issue. These numbers, however, could also be a gross overestimate, as NORML has cited that the average water consumption is closer to 2.6 gallons per plant per day, however, due to the lack of research in this area, the actual water consumption and usage has yet to be determined. With the recreational legalization of cannabis in California came strict regulations and expectations for growers. Growers that pull from water sources such as rivers and streams will be responsible for having their own stored water supply. By enforcing growers to have a water supply, water collected throughout the year will alleviate consumption during the winter months, when water is scarcest in California. Although some growers may only implement the regulations for initial inspections and licensure, the majority of growers are meeting, and exceeding regulatory demands. Outdoor cultivators, not just in California, are motivated to implement sustainable practices. Whether it be to meet regulations, lessen their environmental impact, or marketability, cultivators are invested in their crops and seek to make it a cutting-edge industry that exceeds the practices of other agricultural practices. Indoor grows make water consumption and waste significantly easier to control, and many cultivators are already leading the way in reducing water usage. Creative irrigation practices are eliminating the ability to over-water and reducing evaporation; there are also ways to recycle and reuse runoff water. Cultivators are also starting to collect the condensation from the humidity produced by plants and store it for use. Brandy Keen, co-founder and senior technical advisor at Surna, a company that creates and distributes water-efficient indoor cultivation equipment, boasts that indoor water use could be a net-zero consumption. As water-efficient practices are becoming more common, and consumers in specific markets, such as California, are starting to become more educated on environmental issues surrounding cannabis, cultivators are proactively seeking out new and improved watering methods. While the primary purpose of this series is to highlight the environmental footprint of the cannabis industry in the US, one other take away should be that in the cannabis industry, there is an overwhelming necessity for improvement, and that is not a bad thing. With the need for improvement comes endless opportunities, for businesses as well as the entire industry. 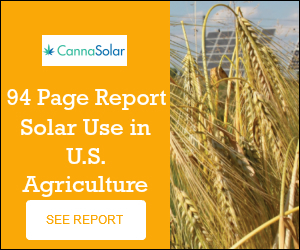 Development and advancements of environmentally sustainable practices in the cannabis industry have the potential to put cannabis on a par with other agricultural and showcase how the industry’s technological advancements can drastically lessen the environmental impact and gain industry support and acceptance.